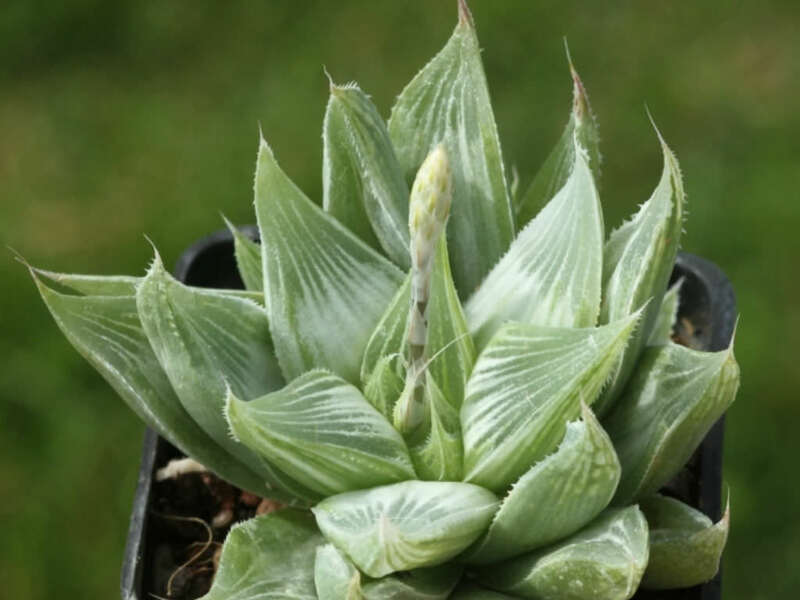 Haworthia magnifica var. 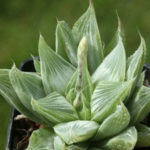 acuminata ‘Grey Ghost’ is a popular variegated cultivar of Haworthia magnifica var. acuminata. 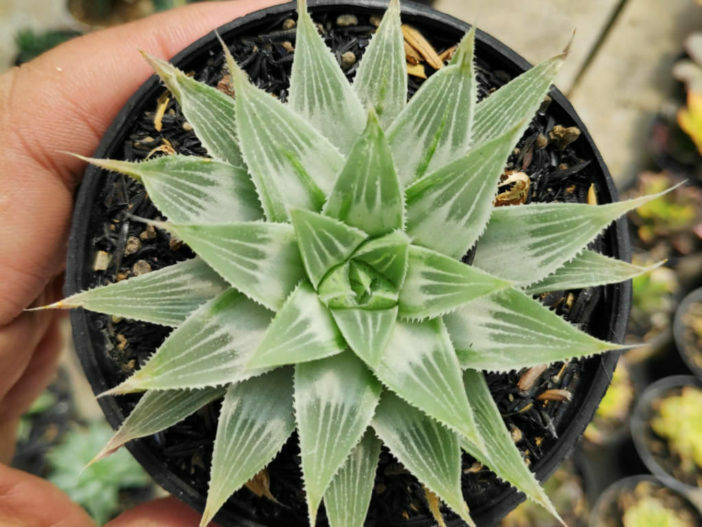 It is a stemless, solitary to slowly proliferous, evergreen, rosette-forming succulent. 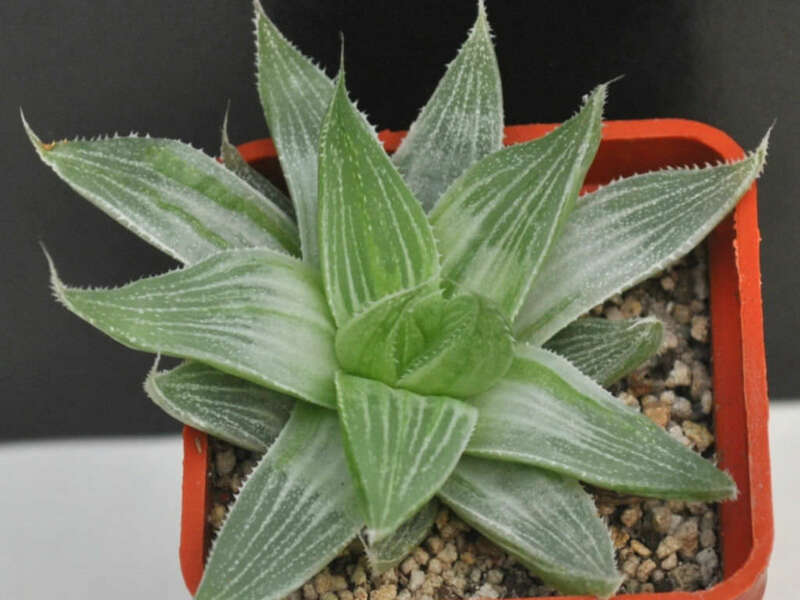 The rosettes are dense and up to 3.2 inches (8 cm) in diameter. 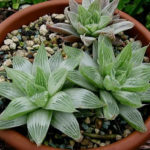 The leaves are up to 2 inches (5 cm) long, pale green with whitish-grey variegation and veins along the upper surfaces. The flowers are small, with green lines and a green throat. 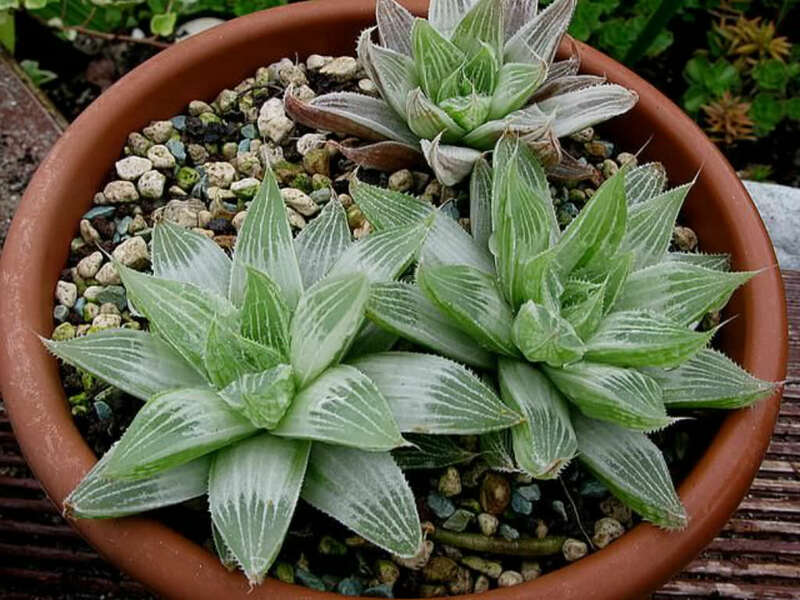 Haworthia magnifica var. 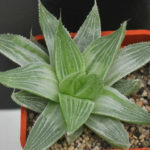 acuminata ‘Grey Ghost’ is a variegated cultivar of Haworthia magnifica var. acuminata.